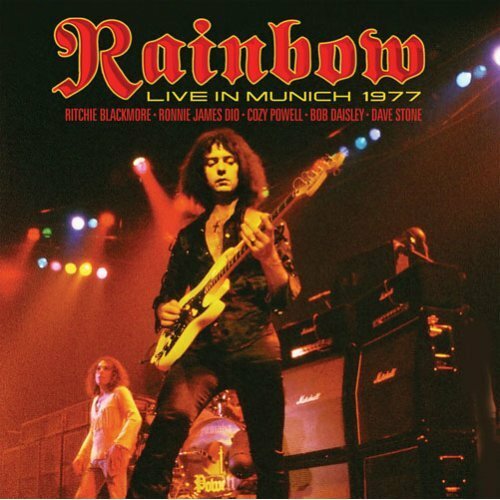 Finally a new Rainbow release worth having, although technically it had been available as a bootleg for years, this was the official release of the infamous Rockpalast concert from 1977 – Ritchie has been jailed 2 nights earlier in Austria for assaulting a security guard. The next night’s show had to be cancelled as Blackmore was still in jail, and even this show (filmed for German TV) nearly didn’t go ahead – eventually the show started 3 hours late. The extended ‘Do You Close Your Eyes’ guitar demolition doesn’t work without the visuals to accompany the destruction but overall this is an essential release showcasing the band at its peak. Track listing and running order is the same as the DVD – this was also released on 2LP 180gm vinyl in 2010.